Today I'm joining with Nancy at Rural Journal to show love and support for our fellow blogger, Leontien as she battles cancer. She's a special lady and this is an incredibly difficult time for her and her husband. 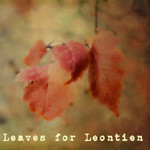 I featured Leontien on my Barn Chicks who Blog. Here is the interview with her if you'd like to read it. We're sending some fall leaves for her to enjoy. I'm sending hugs and prayers too! Lindo carinho pra ela!! beijos,chica e vamos ficar unidos torcendo!! Good Morning, Patrice, What a unique and special way to send love to our precious friend. So perfect and beautiful, you brought a smile to my face. You're right; we can support Leontien! oh my goodness, patrice. this sent chills thru me. absolutely stunning gift. A wonderful sign for Leontien. Great idea !!! what a beautiful and kind gesture! Sending hope and love her way. what a beautiful way to show your love and concern. Very creative leaf message, Patrice! very creative indeed :) perfect! Prayers for you friend. You know I LOVE the HOPEful leaves!!! this is especially beautiful, what a lovely reminder to have hope!! Thank you for stopping over. I love your picture, so creative and I love the loving thoughts. Bardzo podoba mi się prezent dla Leontien i myślę, że jej też się spodoba. Pozdrawiam. I really like the gift for Leontien, and I think it also will like it. Yours. What a creative idea...I love these leaves! What beautiful leaves! I love the way you have written hope with the green leaves. 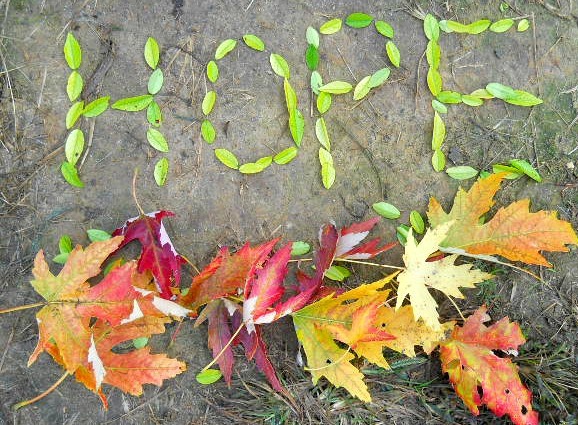 Love the background, the "hope" message and the light in this arrangement. Your leaves rock! A very clever way so send a beautiful message. A beautiful post! I clicked your links~I am humbled by Leontine and her courage. How pretty - I love this! I noticed this photo over at Nancy's yesterday and admired it! Hope is so important. I will read your interview with Leontien, Patrice. It is good to meet you (as soon as I saw the Dixie Chicks !!!! I knew I must check you out! !lol)Thanks for stopping by my post today. Your post for Leontien is very beautiful. Love your clever creativity and beautiful post! This is so gorgeous and inspirational! I'm glad that you visited my blog.